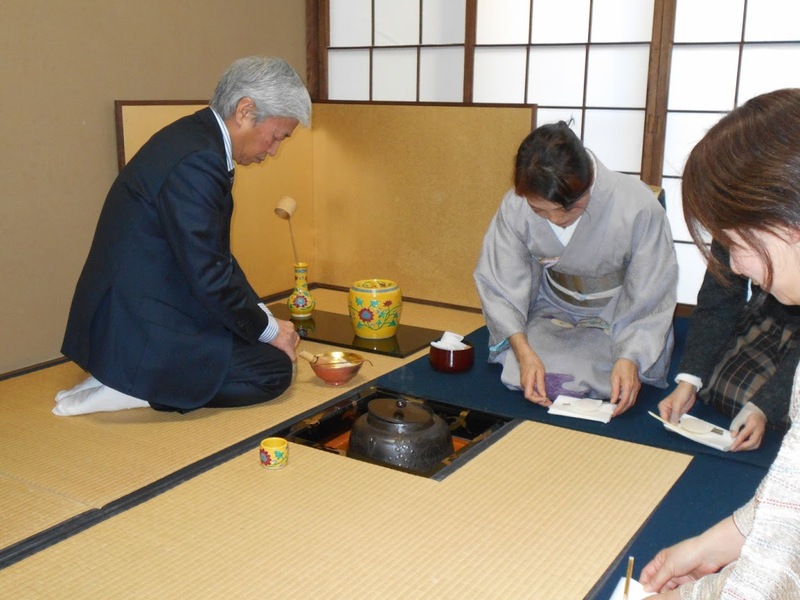 We had Hatsugama on the 13th of January with Hayashi Soumi sensei’s tea group. 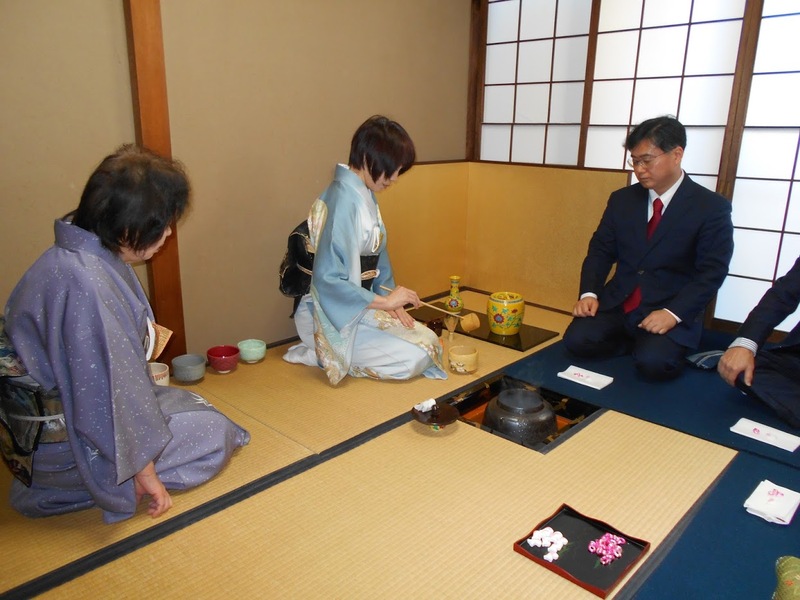 On the alcove, we had the scroll of “Shouhaku sennen no sei” which translates “pine tree and oak tree leaves stay green under any environment”, suggesting the importance of keeping the strong will and policy under any circumstances. 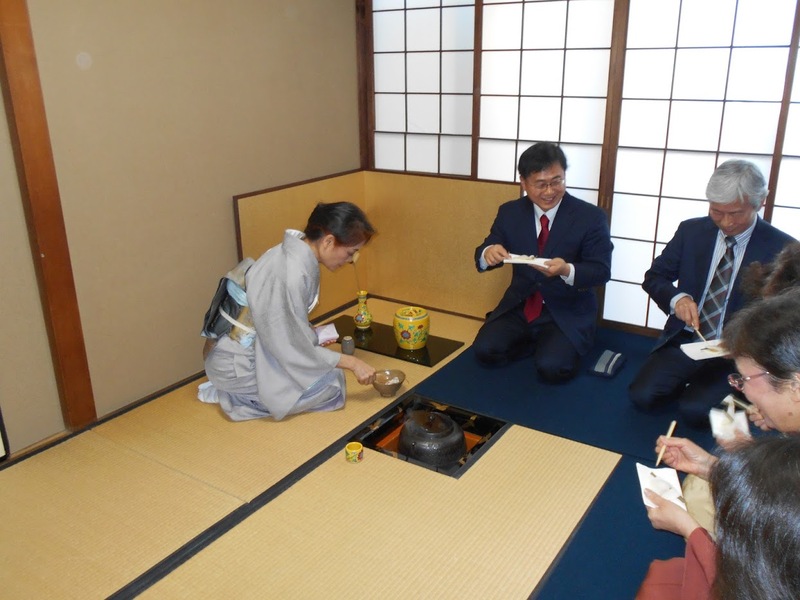 Other things you see in the room is Hayashi sensei’s homemade decoration, such as shrimp, plum, kelp and urajiroleaves. Plants used for arrangement are pine, chrysanthemums and sarcandra glabra, all used traditionally for new year’s flower arrangement. The hearth frame picture depicted a crane. Long board is black lacquer. 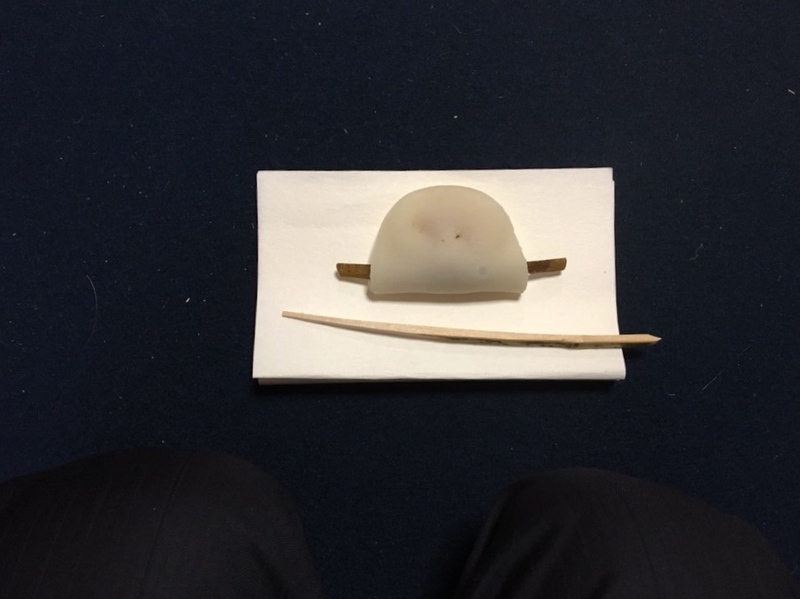 All of mizusashi, kensui, shakutate (ladle stand) and futaoki are made with kikouchi (yellow kochi ware). 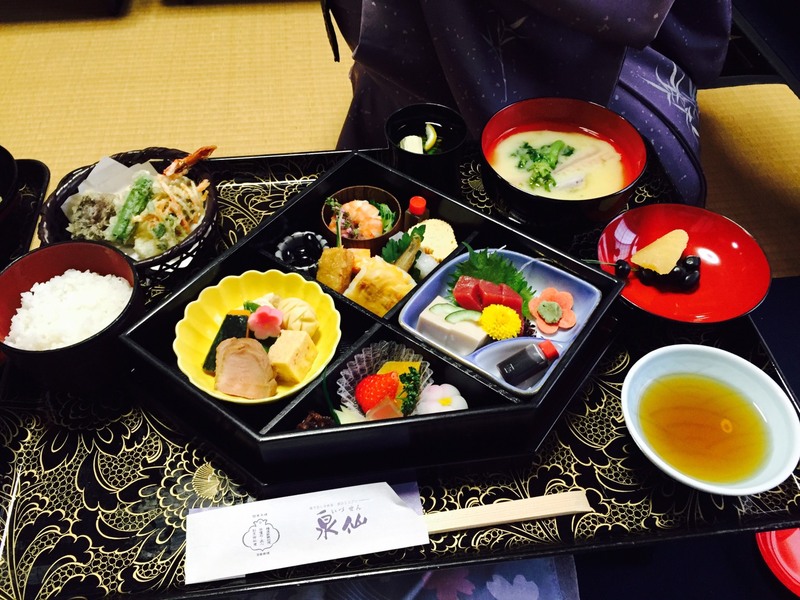 Today’s procedure started in the following order; shozumi demae, meal, nagaita sokazari koicha demae, gozumi demae, usucha demae. Sweet for this day’s koicha was hanabiramochi. 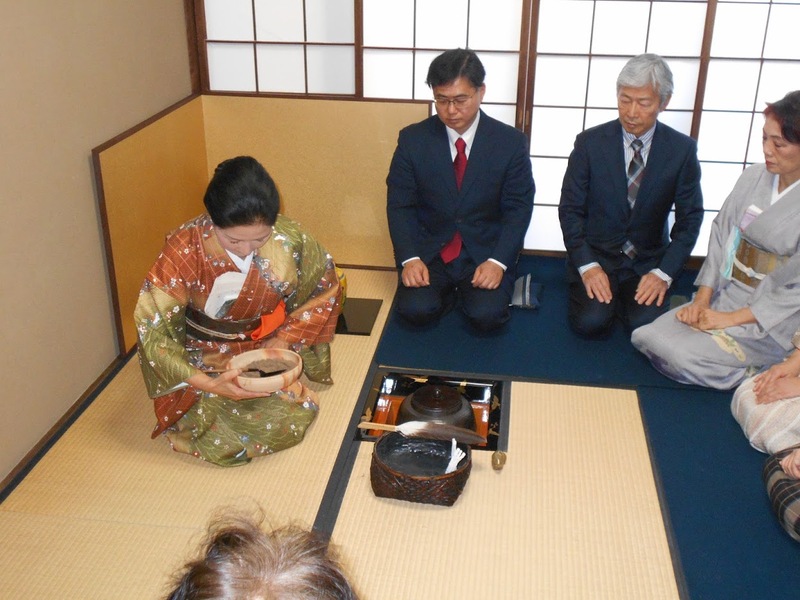 Tea bowls; shimadai and Iraho chawan by Nagaoka Kugon. Chashaku; Zuiun by Kaigen Osho of Daitokuji temple.